The past few weeks have pushed me to (almost) breaking point: I have never had to juggle so many different things inside my brain and try to fit so many activities into my day! Granted, many of those activities involve a computer or an iPhone, so it’s not as though I’m running marathons or whatever, but I have ended this week with a banging headache, dry eyes and a stiff neck. Weirdly, I have also never been so happy in my entire life, so please don’t think I’m complaining. I’m just, I don’t know, keeping you in the loop. Anyway, as well as juggling my usual work and a new secret project and baby-raising with trying to sort the house out, I stupidly decided to do some weekly “vlogs” in the run up to Christmas. These festive videos are widely known as “vlogmas” (don’t even, it’s a hideous word) and the first one of my attempts goes up this evening. If you’d like to follow me around a bit during December (mostly from my bedroom to the lounge to the kitchen and back, if I’m honest) then make sure you subscribe to my Youtube channel and the videos will pop straight into your inbox. Talking of things popping into your inbox, I think I may have temporarily fixed the email glitch that meant that iPhones displayed the page incorrectly; I’ve simply reduced the scale of my website images. Hopefully that has worked for everyone now, though it’s annoying because I like big pictures. Let me know if you’re still getting weird, half-page emails. A shout-out for my little sister, Kate, who has relaunched her online shop where she sells a small (but growing!) selection t-shirts and bags. 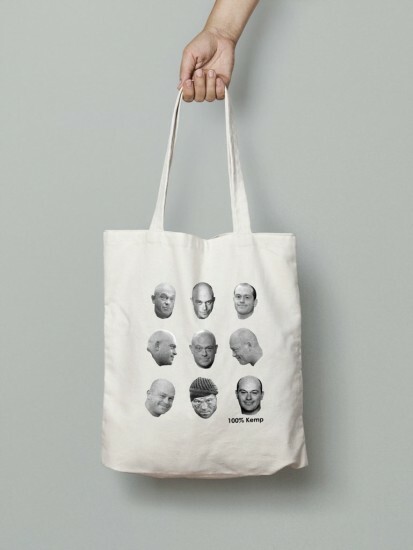 Her “100% Kemp” bag, featuring the many faces of Ross Kemp (ha!) was a big hit last year – you can find it here if you’re looking for something crazy to give to someone quirky. Pet update: both Mr Bear and Dexter doing well and very much enjoying the underfloor heating in the new extension. 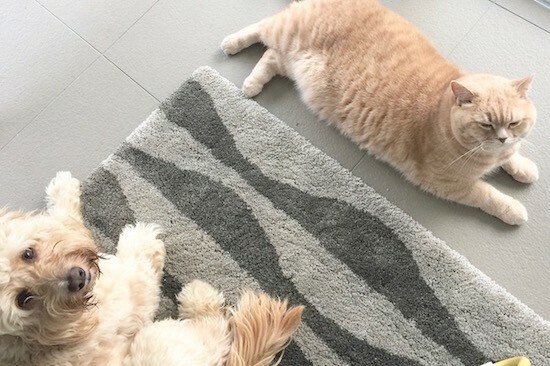 They basically just spend all day lounging about on the warm tiles, watching the birds in the garden and lazily opening one eye when the doorbell rings. Dexter barely even bothers to woof, now, he’s so chillaxed. Underfloor heating: highly recommended. 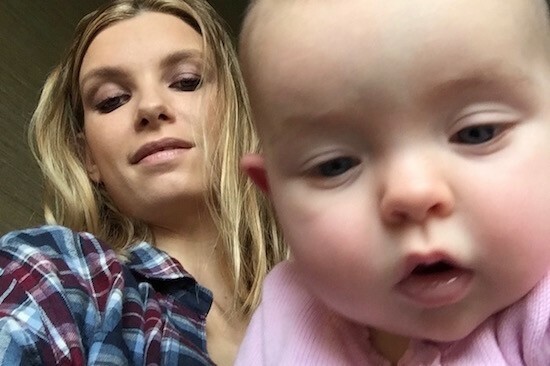 If you missed last week’s Sunday Tittle Tattle where I waffled on about age and birthdays (thank you so much for all of your kind comments!) then you can read that here. 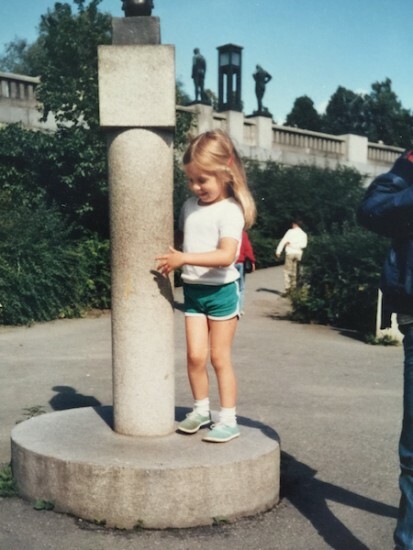 I think I’m four in the photo above – it was taken in Oslo, where my cousins lived when I was little.